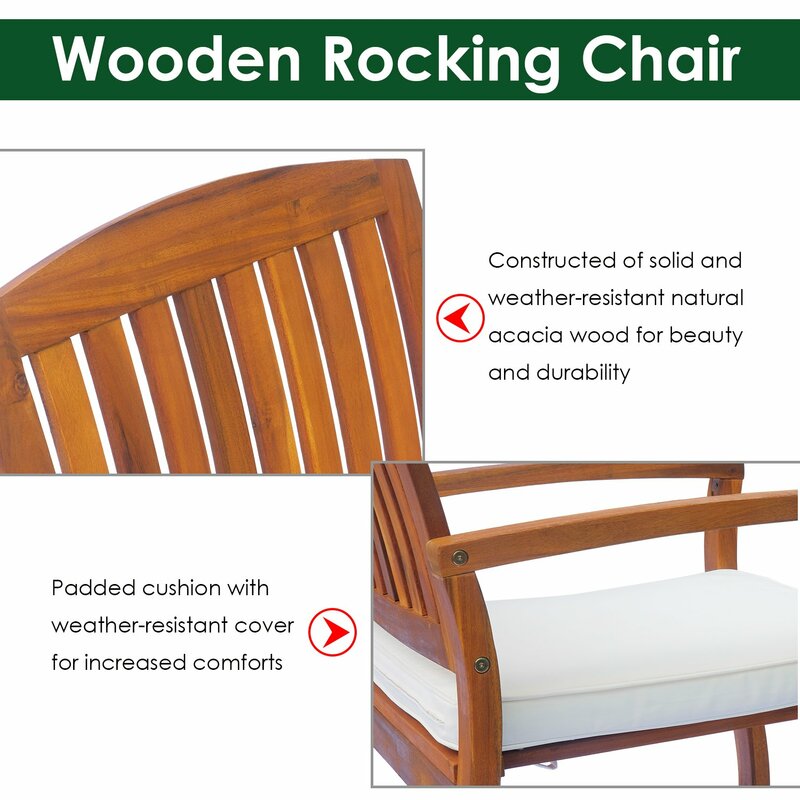 This Outsunny rocking chair is a great addition to your garden and patio. Made from high-quality durable acacia hardwood, it will match any indoor or outdoor décor. The chair comes complete with 5cm padded cushions for your comfort and thick slats on the back and seat will offer extra stability and durability. Kick back, relax, and enjoy the smooth rocking glide while socializing with friends or indulging yourself in your favourite books. This item will be delivered to you by our Ideal Home Show Shop certified seller. UK delivery only. Your order will be processed immediately and you should receive courier delivery within 3 - 5 working days, subject to availability. Once your order has been collected for delivery by the courier you will receive an email with a tracking number. If you are not in for delivery the courier will deliver the goods to the next nearest neighbor or leave in a secure area or return to the local depot. Contact details for this seller will be available on your order confirmation email. Should you have any queries about your order or wish to cancel or return your order you will be able to contact the seller directly. For large items the supplier is only insured to deliver the item to the curb on the pallet. They are not insured to bring the item into the property or the back garden. Please also note non mainland deliveries may take longer than the expected delivery date. Trusted for over 100 years. Everyone knows the Ideal Home Show Exhibition. It's Britain's most loved home show that has inspired homeowners since 1908. We are a trusted brand renowned for bringing great products to people who love their homes. We're known for clever, unique and interesting product ideas, often not found on the high street, and we believe in good quality, great service and honest prices.